My Cluttered Corner: Winner Winner!! Great layouts! And isn't blogging fun??!! 200 posts that you have to look back on and enjoy! Would LOVE to win the Little Boy collection as I have a 3 year old grandson and I love to scrap his adventures! Thanks for the chance! And looking forward to sharing your 400th post!! Hugs! Lillian, I emailed you! Thanks to everyone for stopping by and commenting. I really want to do more giveaways, so stick around. 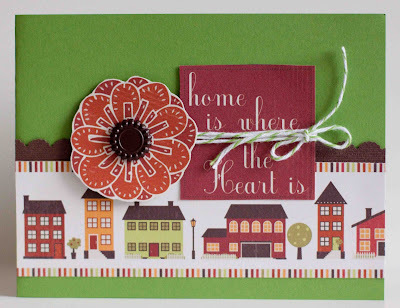 Until then, I have one final layout from the Scrapbook Circle March kit (Vintage Market) to share. I really like to use kits down to the bare bones--how about you? We don't really get fall colors here until December and January and then some trees do lose their leaves and the kids love to get out and play in them. So I cut those months out of the Crate Paper for the title and journaling. The background is also Crate Paper and all the border stickers too. 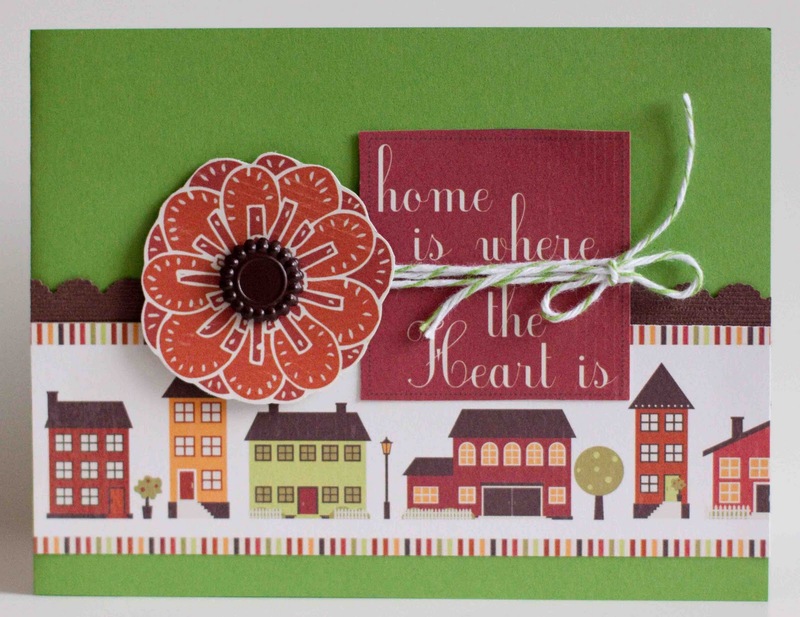 I guess that's it for now, but come back soon because I have the 3Scrappy Boys April Trio Kit and the Scrapbook Circle April kit in the works and they are both totally fabulous! THANK YOU SO MUCH!!!! 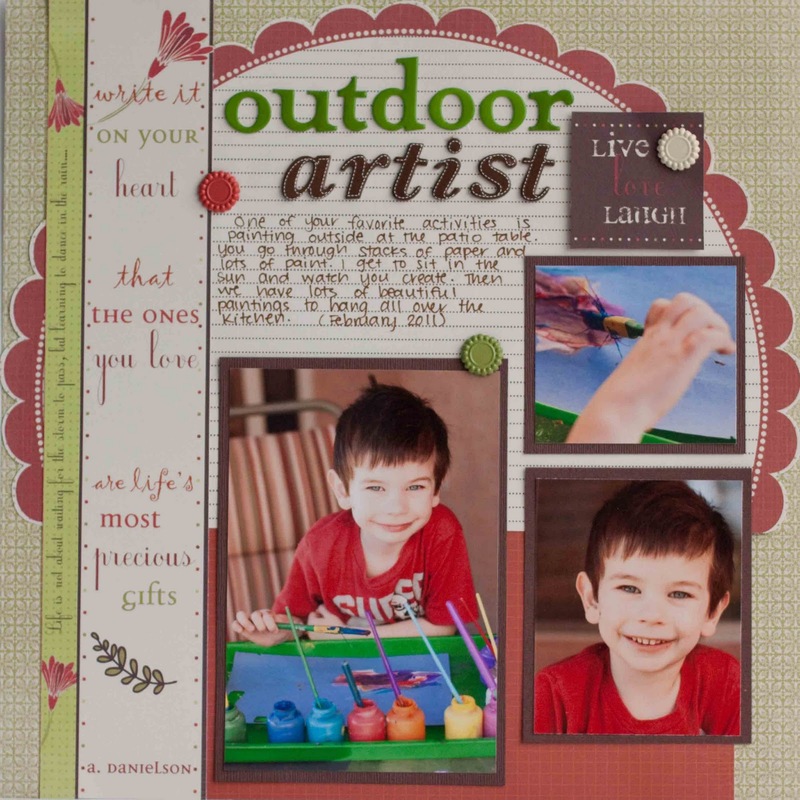 I love the Little Boy papers and will have a blast making pages for my soon to be three year old grandson. Thank you for this generous gift. these are fab Rebecca I especially love that first one I really like the unusual banner treatment you have created! 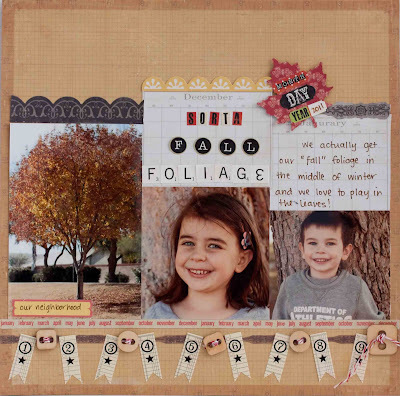 Love your fall foliage lo- the banner is fab! Congrats to Lillian!! And what fun layouts, your kiddies are sooo cute! Fantastic! congrats to Lillian (even though it was supposed to be me. HAHA! JK!!!!). love those fall LO's! beautiful! Lovely layouts!! I adore the fall colors and that JB banner is FANTASTIC!! These are sooooooooooo super cute!!! I love the banner that you made!! ooooh congrats Lillian! haha, i love winner winner chicken dinner...it NEVER gets old! LOL!